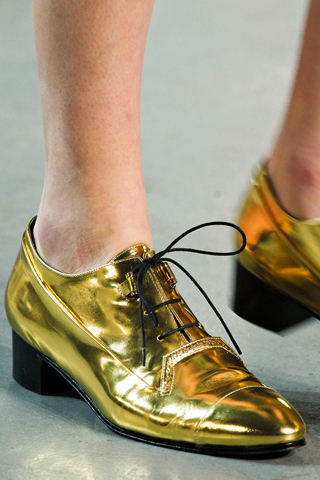 Welcome Monday loves! Everything is coming up fashion this week! 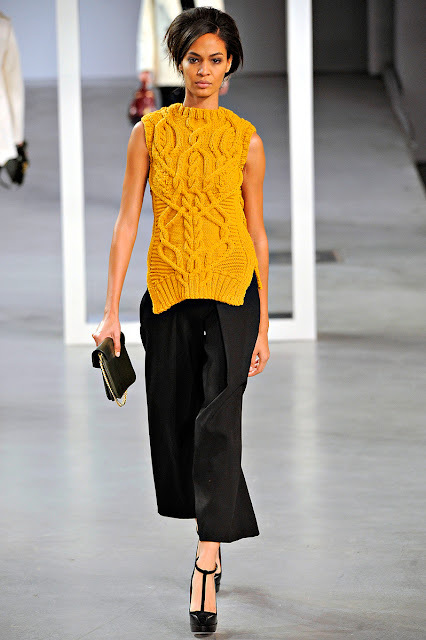 Fall is my favorite time of year and so far the beautiful 2012 fall clothes scream out wear me or lose me forever. 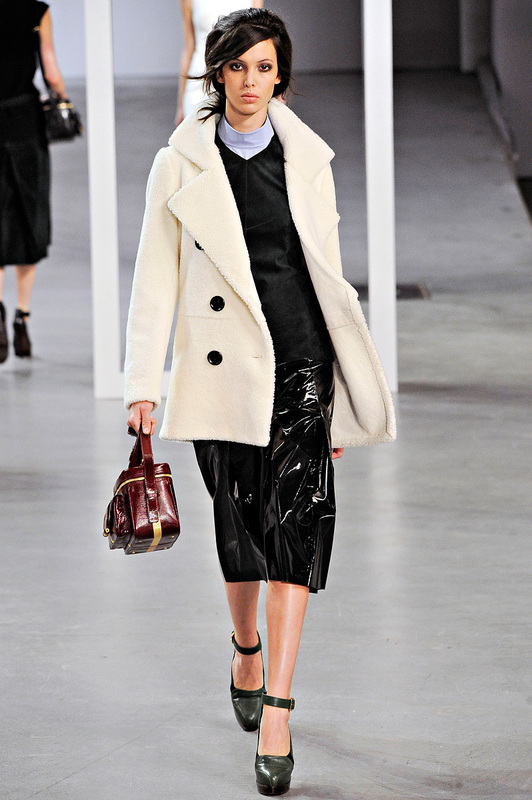 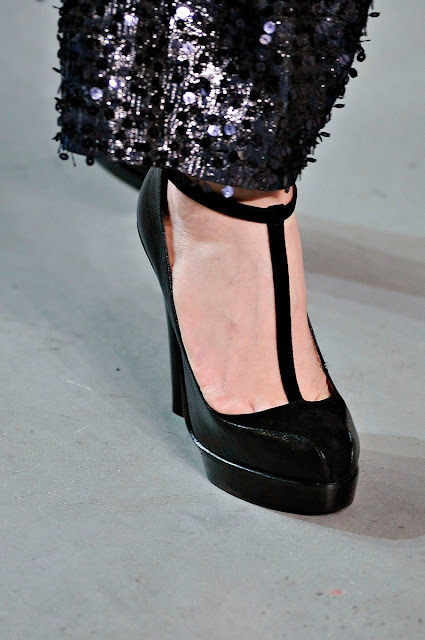 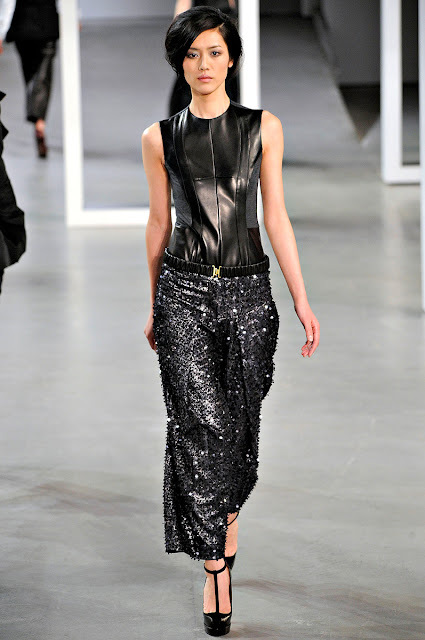 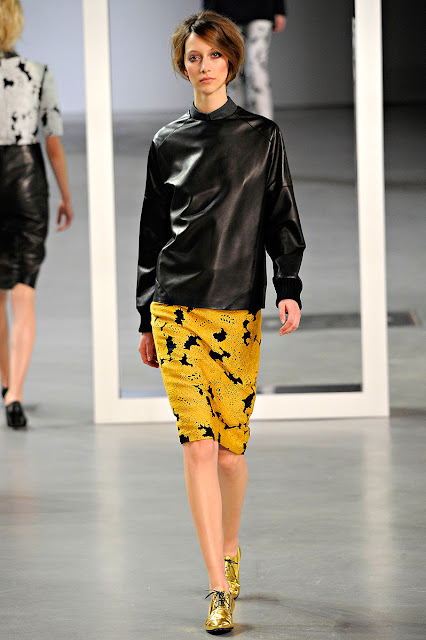 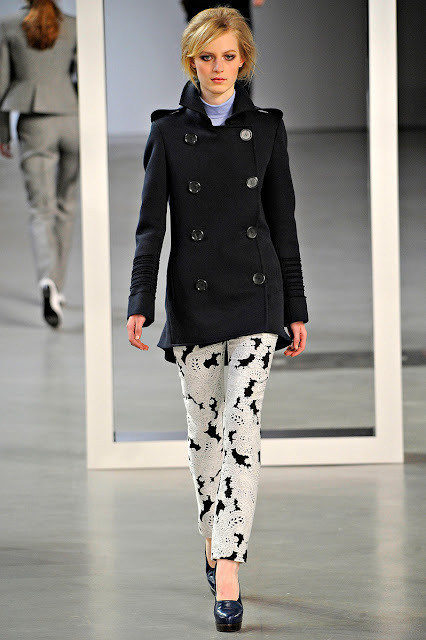 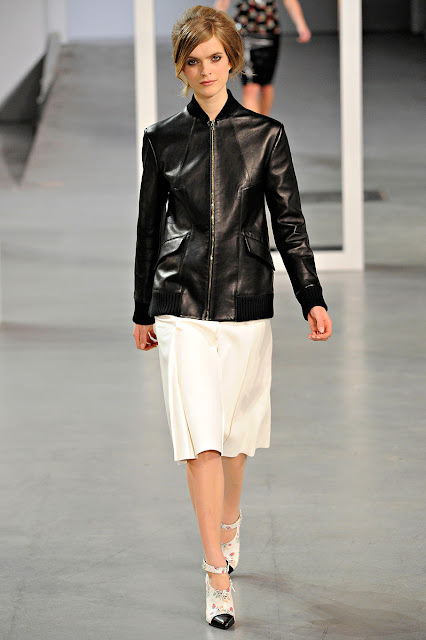 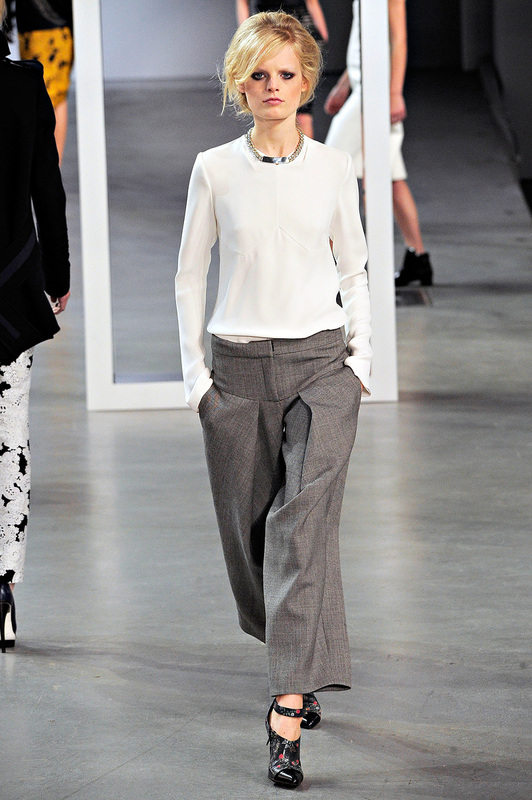 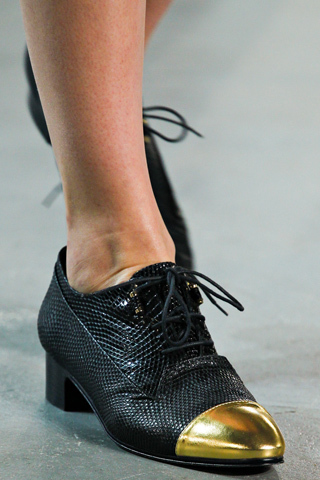 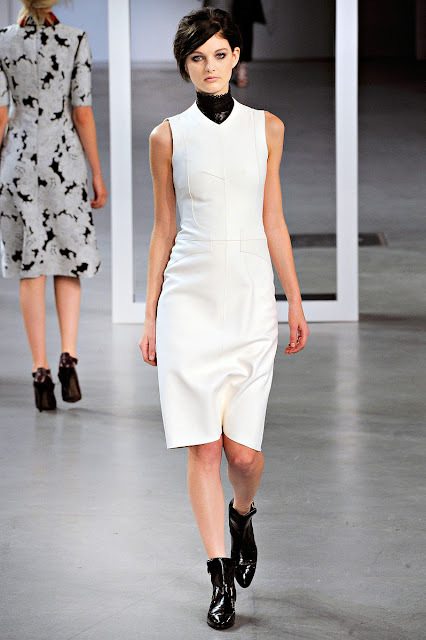 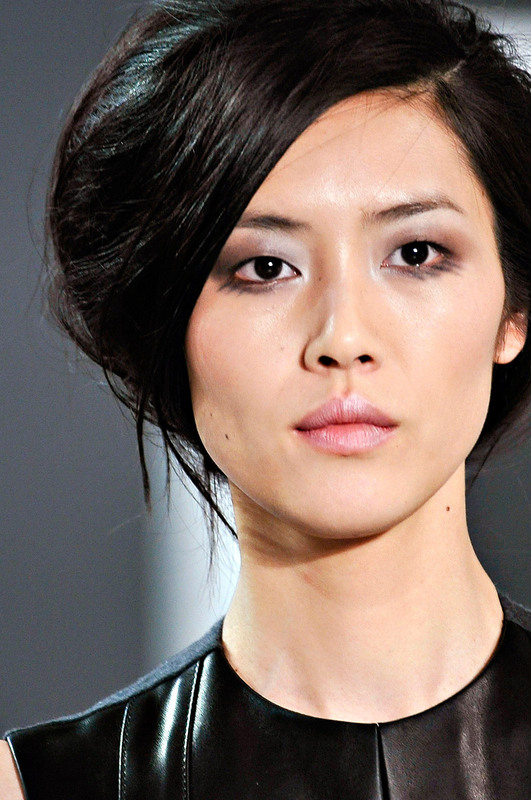 Derek Lam presented a 60's vibe on his runway yesterday. Cashmere white peacoat, poplin shirt, V-neck, and full black skirt conjured visions of some quirky coed, only in real life her jacket probably wasn't shearling, the sweater wouldn't have been cashmere, and the skirt most definitely wasn't black patent. 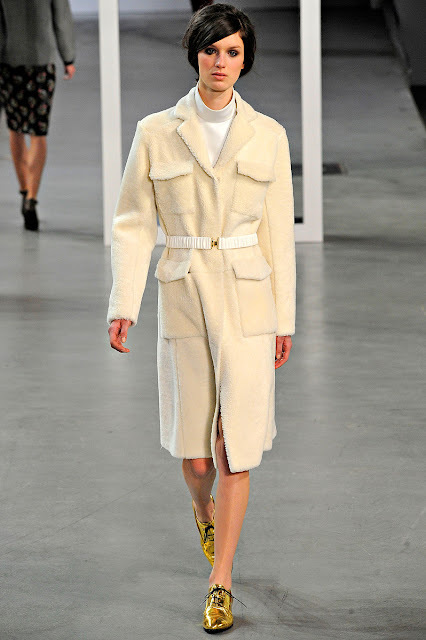 As always, there was great outerwear here, but Lam de-emphasized fur in favor of down, cutting a jacket and vest in neat, trim shapes.